Dr. Robert Leschke has been a VITAL WorkLife Physician Peer Coach and Consulting Physician for over four years. 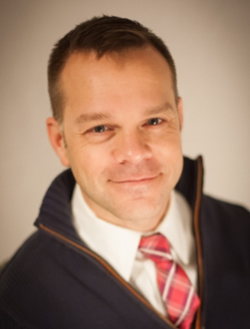 He is a Board-Certified Emergency Medicine physician practicing in Madison, WI and serves on the Department Peer Review Committee, the hospital wide Multidisciplinary Peer Review Committee and works with physicians on performance improvement. He received his medical degree from the Medical College of Wisconsin and certification from the Coaches Training Institute and works as a Certified Professional Co-Active Life Coach. Dr. Leschke began his career at the Level 1 Trauma Center in Milwaukee and worked as the Assistant Residency Program Director and the Director of Undergraduate Medical Education for the Department of EM. While there, he carved his niche in medical student education and career counseling.